It was a rich conversation, animated by Stephen’s wry humor and unflinching contact with death and fear. We went deep with our inquiry of how it is possible to “die wise” in a culture that has institutionalized the practice of bypassing dying altogether. Stephen worked for many years in what he calls the “death trade,” as a former program director in a major Canadian hospital, consulting to palliative care and hospice organizations, and working extensively with dying people and their families. Having seen vividly how what he calls our cultural “death phobia” prevents us from supporting people in making healthy embodied choices about the end of life, he has dedicated himself to revolutionizing grief and dying in North America. He focuses on the care of the soul, and it is there that he is an uncommon diagnostician. I asked Stephen to frame our conversation by sharing what he means by “death phobia.” He attributes it to our inability to deal with endings and a misguided, heroic attempt at bypassing the process and experience of dying, in essence to die physically but not spiritually or existentially. This, he says, is expiring, not dying. Death phobia is so prevalent in North America because there is less dying in our midst, and our responses to it are mostly technical — pain and symptom management — which avoid the reality of dying. We contact books about dying but rarely actual people who are dying. I reflected on the deaths of loved ones I’ve experienced in my own life, and wondered if in allowing ourselves to be cut deeply by loss and grief, perhaps we can go beyond the perspective of our personal narrative. I wondered if perhaps as a culture we are being pushed beyond our collective narratives, asked to find different kinds of intelligence. After all, most of us live as if we will never die. The old as well as the young. What then is the alternative opportunity to “dying without dying.” How can we be in honest relationship with the inevitability of our own death now? Stephen offered an answer that he cautioned was probably not a “gesture of customer satisfaction.” He suggested that the deep ethics of your dying time need you not to ask what dying will do to you, but to inquire what it asks of you. The next challenge is to resist the cultural influence to establish an elaborate coping strategy where you keep the realities of dying at bay while working out the meaning of life. Living and dying is vast, uncharted territory—a mystery that is relentlessly faithful only to the mystery of itself. Death doesn’t wait for your best day to arrive, or until you’ve achieved wisdom or you feel prepared. Instead, it requires you to understand where in the arc of your days you are now, or else you face it unmoored and ungrounded. Grief is the animating orientation to the parts of life that you wish were otherwise—and legitimately so. Stephen did not pretend he is free of fear of death, or discomfort with it. He was emphatic in admitting that he has no wish to die soon. He admitted that the idea that the world will go on without him is a sorrow-soaked proposition for him. Some part of him wishes it were not so, and yet some part of him is enormously willing for it to be so. It was tender to be with him as he admitted how both of those things are alive within him. I was especially interested to hear Stephen’s insights on the human relationship to climate change and the paradoxical death phobia that he says underlies most ecological care. He traced this mis-orientation to a phenomenon he observed while engaged in the heart-breaking work of counseling terminal children and their parents. What parents seemed to grieve most, even more so that the actual loss of the child, was the idea of the “lost potential” and the “unlived life.” Yet when Stephen gently explored this with the children he found they could not even conceive of this idea. To them, their life was ongoing and realized and entirely now. He says this idea of lost potential is “high on the agenda of climate change activism” and contributes to the tone of misanthropy that dominates most climate change activism, as if the best solution is absenting ourselves from the equation. He quipped “only humans are capable of misanthropy, not trees” and suggested that we are going to have to find some motivation for our coming days that doesn’t include degrading ourselves. But he also acknowledged that in our time, if we awaken at all, we do so “with a sob,” encountering a landscape so disfigured that it is all too tempting to find ways to anesthetize ourselves. Grief, not hope is the answer. While hope is “hostile to the present” in a troubled time, we feel obligated to hope, even when we’re dying. When we become grief-literate we cultivate the willingness to spend longer periods of time learning to grieve over the sorrowing and heartbreaking truth of where we are. A deep gratitude can perhaps then become available—for the remarkable, quixotic alchemy of being alive and living long enough to realize that you are alive. For many bewildered dying people the problem wasn’t that they were dying, but that they didn’t know where they were in the arc of their days. They were lost, and had not a clue as to where they were in the dying process. Do we know where we are in the arc of the days of our current order? The symptoms are at such a great distance. So you have to make up your mind more or less arbitrarily that the time of trouble is upon us now, that there’s nothing to wait for that will be a clearer affirmation than the ones that are available to us at the moment. A troubled time like ours needs people who are the kin of the Irish writer Samuel Beckett. Stephen says Beckett’s powerful title, I Can’t Go On, I’ll Go On, is an achievement “beyond belief.” There’s no conjunction between the two statements. It is a grief-informed orientation to a troubled time, because it is austerely candid about both realities. He’s not saying “I don’t think I can go on.” He’s just testifying that there’s such a thing as “I can’t go on” without obliging himself or anyone else to get beyond it. But there’s more, which doesn’t eliminate the first part, “I’ll go on.” The marching orders of today might be something like this — we’re going to have to craft an ability to go on, not being able to. These things occur at the same time. I invite you to access the recording here. Share your thoughts and comments on this dialogue on the Beyond Awakening Community Facebook page. Stephen has devoted his life and career to working with dying people and their families, and he is bringing a revolutionary perspective to the process of facing death, grieving and dying in North American culture. He brings a fierce heart and clarity of vision to this work, good medicine that can help people make healthy, embodied end-of-life choices, and attend to the care of the soul. On Sunday, we’ll be examining “death phobia” and “grief illiteracy,” two wide-spread conditions Stephen has diagnosed, the fundamental dynamics by which we disconnect culturally from one another and our planet, contributing to our global crises. It is painful to face death, destruction or loss. But we flinch, and try to avoid that pain. Thus, for most of us grief is a vast unexplored territory. Because we don’t dare to go there, we dwell in only a small portion of our existential estate. Stephen will share his thoughts on why that is, and how we can go beyond our own death phobia and be deepened and strengthened by an honest, wholesome engagement with appropriate grief. Stephen has also deeply contemplated the human relationship to climate change and the degradation of nature. It is easy for many of us to look at the deep existential insanity in the psychology of those who deny climate change. But Stephen goes further and illuminates the paradoxical death phobia underlying most ecological care and climate activism; and how this mis-orientation renders environmentalism so profoundly ungrounded and ineffective. You’ll also hear Stephen explain why grief and discernment are profoundly intertwined, and how grief is a form of moral intelligence. We can confront our own death, and that of our loved ones, in healthy, honest, and empowering ways. It is how we as individuals can do our part to prepare our species for a great, honest collective confrontation with our current loss—a destabilized atmosphere and biosphere. Stephen teaches internationally and is the creator and principal instructor of the Orphan Wisdom School, founded in 2010. With Master’s degrees from Harvard University (Theology) and the University of Toronto (Social Work), he is revolutionizing grief and dying in North America. He has worked extensively with dying people and their families, is former program director in a major Canadian hospital, former assistant professor in a prominent Canadian medical school, consultant to palliative care and hospice organizations and educator and advocate in the helping professions. Steve McIntosh is an important integral philosopher and the author of three books. His just-released book is The Presence of the Infinite. He’s also written Evolution’s Purpose and Integral Consciousness. 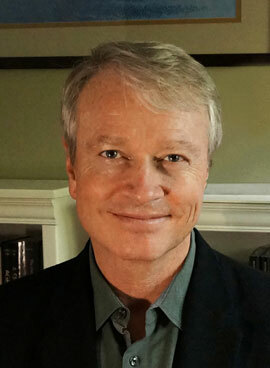 In addition to his work in spiritual philosophy, Steve is also co-founder and president of The Institute for Cultural Evolution, an integral political think tank. What I appreciate about Steve is his rare combination of virtues. He brings original philosophical insight, eloquence, passion, and deep dedication to something greater — the same larger project that inspires my own work. That project is building the new integral evolutionary worldview, strengthening integral evolutionary culture, and helping it gain mainstream influence. Steve is also a good friend, in no small part because our conversations are so often invigorating, provocative, and full of original ideas. Sunday’s dialogue was no exception, with Steve sharing many of the luminous and fragrant distinctions that he’s elaborated in his new book, while I offered some creative challenges to his theories in the hope of promoting new understandings and truths. Steve pointed out that although it has diverse applications across culture, the field of human endeavor where the integral perspective is arguably most illuminating is in the realm of spirituality, and this is the area — integral evolutionary spirituality — that he explores in The Presence of the Infinite. (I’ll use the term “evolutionary spirituality” for the sake of brevity going forward. Steve uses “integral” and “evolutionary” interchangeably). And the stakes are high. Steve feels that the spiritual renaissance that could result from the emergence and proliferation of evolutionary spirituality could result in an evolution of consciousness that could be as powerful as scientific medicine in terms of improving the human condition. Transcending and including the best of what has come before, evolutionary spirituality can overcome the limitations of religious, secular, and progressive spirituality by, among other things, harmonizing science and spirit. This means reintroducing rational thinking into spiritual experience but without the hyper-rationality of modernity, in essence bringing back Truth into the realm of the Good and the Beautiful. During the first half hour of our dialogue Steve laid out a brilliant tour de force summary of many of his book’s key concepts and distinctions. It’s far too rich to lay out in this blog post, but if you listen to the recording you’ll learn about the role of philosophy in evolutionary spirituality, transcending the cultural stuckness that blocks progressive spirituality from mainstream acceptance, an explanation of polarity theory and the fractal nature of positive-positive polarities, and the specifics of the “attractor basins” that act as engines of evolution within value-creating polarities. If this all sounds esoteric, I promise Steve managed to ground it in understandable language! Steve’s rich summary set the foundation for our discussion of one of the most intriguing of the distinctions in The Presence of the Infinite, and the one we’d decided to explore — the interdependent “positive-positive” spiritual polarity of the experience of the love of God, and the experience of non-dual Samadhi. Non-Dual Samadhi has been described by saints and sages throughout history as a unitive experience of ultimate reality. Subject and object become one and the limitations, and boundaries, of the separate self dissolve. Steve says the non-dual path was claimed by progressive spirituality out of the “green meme” counter-culturists of the sixties who felt it was a path more conducive to cultural and spiritual development than the traditional western theistic spiritual paths. He sees the broad acceptance of non-duality as a huge accomplishment of progressive spirituality. But Steve says this accomplishment has been at a cost. In the process of overcoming the self, non-dualists lose the uniqueness and originality that each of us can offer as agents of evolution. If there is no separation, we may even handicap our ability to love, since love is irreducibly original and relational. He says we risk love becoming little more that a slogan. In evolutionary spirituality, according to Steve, relational love of our Creator and our fellows becomes available once again. Evolutionary spirituality transcends the pathologies of traditional theistic spirituality, “teasing apart the dignities from the disasters,” and rediscovering the theistic truth of a Loving God that beholds our fears and our setbacks, our trials and our triumphs, and who knows us and loves us as sons and daughters. Steve concluded that as a positive-positive polarity, Non-duality and Love of God challenge and complement each other. Each contains the fractal essence of the other, like the white dot in the black wave, and the black dot at the center of the white wave in the Yin Yang symbol. Each allows the other to be what they truly are, working off of each other and advancing the best in each, comprising the engine of evolution that’s needed to bring about a spiritual renaissance and advance culture. I resonated with many of the distinctions that Steve brought forth in his discussion of the polarity of the Love of God and Non-Dual Samadhi. I appreciate and participate in both these “attractor basins” of spirituality in my own life and in my teachings. In fact, one of my core teachings, The Integral Heart points directly to their inseparability. But my experience of the relationship between what Steve distinguishes as two “poles” has been different. I don’t see non-duality and love of God as being fundamentally separate. For me, the love of God follows naturally from Non-Dual awakening. Awakening from a radical presumption of separateness is what has released me to incarnate more fully as an embodied soul, with free choice, able to embrace conditional existence more fully and passionately. This has allowed my relationship to the Mystery, or God, to open up, liberating me to love and serve in a whole different way. Further, in my experience, non-duality contains the seeds of everything it needs in order to outgrow its limited expressions, such as a transcendentalist bias. I wondered if perhaps the limitations that Steve was pointing to weren’t so much a deficiency of non-duality itself, but rather the immaturity of how non-duality expresses itself among some individuals. Steve agreed that immaturity is inevitable at all stages of spirituality, even at the level of evolutionary spirituality. He described what he sees as my spontaneous, natural engagement with the polarity of non-duality and love of God over a lifetime of practice. He suggested that perhaps this is why I don’t emphasize the distinction, when in fact he sees this engine of evolution underlying all of my teachings and work. He then pointed to the way he and I were relating in our dialogue at that moment, as an example of the polarity at work, with non-duality transcending its limitations and advancing us, and our listeners, to a new understanding. Appreciating each other tremendously, we didn’t arrive at a new static agreement, but instead agreed to bookmark our conversation and continue our dialogue into the future. We also discussed some of the ways that Steve experiences the love of God in his everyday life — through his love for his son, through his gratitude for the beauty of the natural world, in loving God and being loved in return, in a kind of divine circuitry of love. I also shared how my practice and teachings, informed by Adi Da and Kashmir Saivism, include both non-dual awakening and devotional communion. The yoga of Love also opens the subtle body and transfigures the body-mind, so that we conduct more life and consciousness. We continually re-awaken until, non-separate, we truly see God in everything, including whomever is in front of us.